Now that I am a “seasoned” pediatrician (greater than 20 years in practice), I have seen many changes all directly related to vaccines. I used to have to do lumbar punctures at least a few times a year; now I haven’t done one in years and I am getting rusty (which is a good thing). I have never seen a case of the measles, and might have trouble diagnosing it. I don’t want to have to…. My mother used to tell me about terrible summers made tragic by polio. I don’t want to know it first hand. These are all things I know personally. And most importantly, I can say I have never seen a child permanently damaged by a vaccine. This is the message we need to get out. One aspect of the vaccine controversy that doesn’t get discussed as often as I would like, is the notion of vaccine economics. Vaccine economics has to do with what I refer to as the distribution, consumption, management and cost of vaccines. After looking at what insurers paid more than 1,400 doctors for eight different vaccines, athenahealth concluded that almost half the time the payments weren’t large enough to cover estimated costs. You don’t need to be an economist to know that loosing money isn’t good for anybody and certainly unsustainable; no matter how altruistic your motives maybe. The blog post also highlighted that the problem might be worse than the research indicated. The American Academy of Pediatrics came up with estimates for indirect expenses, concluding they range from about 17 percent to 28 percent of the purchase price of vaccines. So at least 17 percent should be tacked onto the purchase price for doctors to have a shot at breaking even, the group concluded. By that measure, 47 percent of immunizations are money-losers, the athenahealth data show. If the 28 percent figure for indirect costs is used to calculate break even, then it’s an even grimmer picture: 79 percent of vaccination payments fall short. This puts pediatricians in an ethical dilemma. 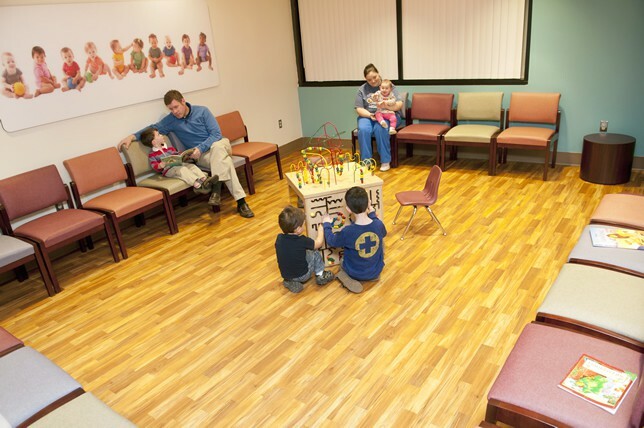 On one hand, pediatricians will always do what is in the best interest of children. And there is overwhelming scientific evidence that vaccines are among one of the greatest medical innovations of our time. On the other hand, preventing illnesses like Polio, Rubella and Measles in children cause pediatricians to actually lose money. In other words, pediatricians are in essence subsidizing – at their expense – the wellbeing of children. One of the anti-vaccine movement arguments is that vaccines are a profit center for doctors and that pediatricians are putting profits over the well-being of children. That is simply not true. And the research published by Athenahealth (click here to go the the study) clearly shows that profit is certainly not an issue. When payment to physicians for vaccines often does not even cover the costs associated with administering those vaccines, this claim is so ludicrous as to be non-sensical. Current immunization practice and herd immunity have virtually eliminated many infectious causes of serious morbidity and mortality in the USA. It’s almost ironic that immunizations have done so much for public health, yet their value has not been recognized. What is most frustrating to doctors is that immunizations are perhaps most cost effective preventive measure available to the pediatric population; especially when one considers the long term benefit in the equation for payment. Yet insurance companies, driven by their bottom line, fail to view the long term benefits. For example, they reimburse a doctor for a polio vaccine below the doctor’s cost in an effort to improve the bottom line without considering the cost of a child actually getting Polio. What would happen if pediatricians, driven by the cost of vaccine and poor reimbursement, decide they can’t immunize children any longer? The poor and inadequate payment for immunizations could potentially create a public health problem if one considers that the lack of immunizations in children could break our developed herd immunity. In fact, in the US, we’ve already seen over 150 cases of measles in 2011 and in California there were 9,500 cases of pertusis in 2010; and 10 infant fatalities which are attributed to lower vaccination rates. Perhaps more than any other physicians, pediatricians believe in, and focus on, PREVENTION of disease, stopping illness even before it has a chance to strike. If an ounce of prevention is really worth a pound of cure, skimping on spending for prevention today will surely result in spending much more tomorrow–not to mention causing more people, at all ages, to suffer from what are easily preventable diseases. Dr. Ari Brown over at the Baby411 blog had a very interesting post where she looked in to a study, published in a pediatric journal, regarding parent’s attitude towards the vaccination schedule recommended by the American Academy of Pediatrics, The American Academy of Family Physicians and the Centers for Disease Control. The study concluded that more than 1 of 10 parents of young children currently use an alternative vaccination schedule. In addition, a large proportion of parents currently following the recommended schedule seem to be “at risk” for switching to an alternative schedule. In our practice, we too have a very small portion of parents that choose to “alter” the recommended schedule. Certainly well below the 10% mark. But Dr. Brown didn’t just settled. She did what any good pediatrician does, which is, take a look a the data to understand where the numbers are coming from and how the researchers reached their conclusions. Her findings provide a lot of insight. She first mentions that the study was done in May of 2010, but it was just now published. A lot has happened since May 2010 in the vaccine world (besides Michele Bachmann). In the same month that this survey was being done, the British researcher who published the now-retracted 1998 MMR-autism study in the Lancet lost his medical license for questionable practices. With this story, national media sided with modern medicine instead of conspiracy theorists on vaccine safety. That trend has been fairly consistent since then, and I think, has led to fewer parental concerns. Dr. Brown highlights that the response rate from the study was only 61%; which could very well represent skewed data. People who choose to vaccinate may have no interest in spending time answering questions about vaccine safety. People who choose to delay or skip vaccinations may want to share their position. It is hard to know what motivates people to participate in a survey, but it may influence the study results. The first vaccine that parents refused or delayed was the H1N1 and the second, the seasonal flu. Although there was outright hysteria regarding the H1N1 outbreak and calls for a rapidly available vaccine to combat it, there was also quite a bit of public anxiety about taking a vaccine that had not been field tested prior to use. I agree with Dr. Brown when she points out that the seasonal flu should not be placed under the same category as other vaccines because with exception of New Jersey, the flu vaccine is not required for school entry. While the CDC and AAP recommend annual flu vaccine, it is never included in the national immunization survey done annually by the CDC she adds. The most effective message I can share with you and my own patients is that I vaccinate my own children to protect them, I wouldn’t do anything differently for yours. But the truth of the matter is, the vast majority of parents in the study vaccinate their children on time. Brandon is a practice administrator, speaker and blogger. He and his wife, whom is a pediatrician, vaccinate their three children. The Today Show had a really good piece concerning a growing trend relating to the vaccine debate. The piece talks about how some pediatrician are asking parents that don’t vaccinate their children to find another doctor. Prevention of childhood illness is the heart of a pediatrician’s mission. 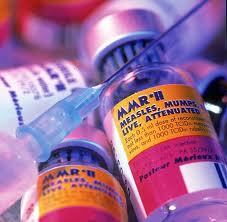 Immunization refusal violates that mission, putting everyone at risk. If we allow families to remain in our practices unvaccinated, we are giving tacit approval to parents that refusing vaccines is just fine. It is anything but fine. For me, it comes down to whether you can have a relationship with a family when their choice not to vaccinate goes against pediatric core values and puts so many innocents at risk. I don’t believe that I can have a functioning doctor-patient relationship with parents who aren’t willing to accept my advice about such a critical issue as keeping their children safe from potentially deadly diseases.